An anthology of 25 stories by six authors connected by a single thread: the dark side of human nature in all its hues. Vices in us, we know, exist and breed. What fans them further and do we tame them (if at all)? The diverse settings, relatable experiences, and the very humane nature of each story intrigued me. Every single minute of my “me time” was dedicated to the book. The book is divided in to three portions: Light Grey, Dark Grey and Black. The stories in each section portray/reveal related darkness – not depression. Most of the stories are sure to linger in your mind even after you put the book down. They evoke emotions that we deny ever exist in us. I appreciate the selection of the stories. I like the way each author has consciously contributed to each section, bringing out the apt “darkness”. It’s not easy to pen out such feelings strongly that stir the reader with each sentence. It reflects maturity – the work of seasoned authors. The narrative skills of Vivek Banerjee, Upneet Grover, Saksham Agarwal, Aanandita Chawla, Vrinda Baliga, and Shreelatha Chakravarty are praise worthy, offering a different perspective, a refreshing take, a unique outlook towards the different shades of the dark forces within us all. For anyone who loves short stories, I definitely recommend this book. Pick It Up! No second thoughts!! This is one book I will keep going back to- just like the Urban Shots series. Dr. Vivek Banerjee, the author of ‘The Long Road’ is a self-confessed “full time pediatrician (by choice) and part time author (by chance)”. 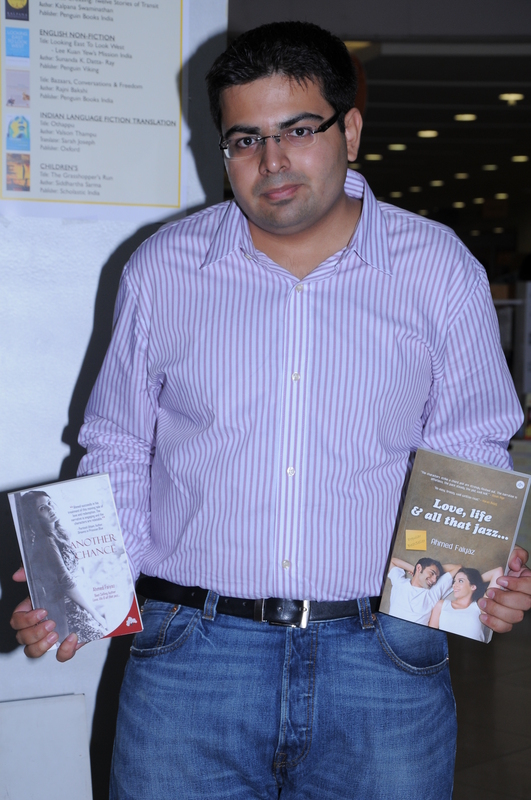 Also known by his pen name Ben, for his blogs earlier, Vivek shares snippets of his writing career with us. Read on. Could you share with us your earliest memories of writing? What got you blogging and finally writing a fictional tale? The earliest memories in writing are contributing to my school magazine and later editing it. Blogging started as an experiment and then became an addiction. Rediff iLand (the earlier and hugely successful avatar of now moribund Rediff Blogs) provided the proverbial fuel to the fire. 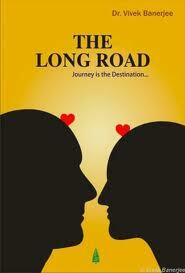 The Long Road started as a serial story called Doctors on Rediff iLand. It was hugely popular and my fellow bloggers got more and more involved as the story progressed. Eventually, the idea of presenting it as a full-fledged novel came to me and I decided to take the plunge. What kinds of books grab your attention? I love fiction. From adventure to science fiction; thrillers to classics and novels to short stories, I love them all. How was the experience of writing a novel, given the fact that your profession barely leaves you time for other activities? What inspired you to come out with a full length novel? Agreed! There is hardly any leisure. This novel and all my writing is generally done deep in the night. Many a time, I have to attend calls at odd hours and find it difficult to sleep after returning. The only option left is to pick up the laptop and start typing. Any character from the novel that reflects or resonates with the real you? No, I don’t think so. I do wish that I could be like Prof. Patil from the book. The language used is quite simple and coming from a highly specialized industry, one tends to use the jargon of the field. How easy or difficult was it writing a book based around your profession? It was very simple to write a book based on my profession and many parts of the book are inspired from real life happenings. I did make a conscious effort to avoid medical jargon or get too technical. I hope that I have succeeded in this aspect. Would you like to share a memorable incident that happened during the writing process? Or an instance that clicked the writer in you (while at work), wherein you felt that the incident would make for an interesting mention in the book? Considering the fact that I joined Medical College in 1983, I had a rich reserve of memories and experiences to draw from while writing the novel. But one repetitive incident that causes me a lot of anguish and finds a mention in the book is our inability to prevent very sick children from dying despite best efforts. An ebook or a hardcover– your pick? and Why? I guess I am traditional in this matter. I am a huge fan of printed books. If you visit my home, you’ll find a lot of books everywhere. E-books are not for me. Name some your all time favorite reads. To kill a Mockingbird by Harper Lee is an all time favorite. I am partial to almost all the books by Isaac Asimov, Wilbur Smith and Jack Higgins and have read them multiple times. A Quote that inspires you – in personal life / professional life. A book/author in the recent past that has captured your interest? Anish Sarkar’s Benaami and the Urban Shots series. Any other genre that you’d like to explore now? What next do we see from your desk? I am writing short stories. In fact, there are two projects in the pipeline. One is a collection of stories about the paranormal in collaboration with Faraaz Kazi. An anthology of stories about the darker side of human nature is the other project. Upneet Grover, Saksham Agarwal, Amit Kumar Gupta, Anandita Chawla and I team up for this one. 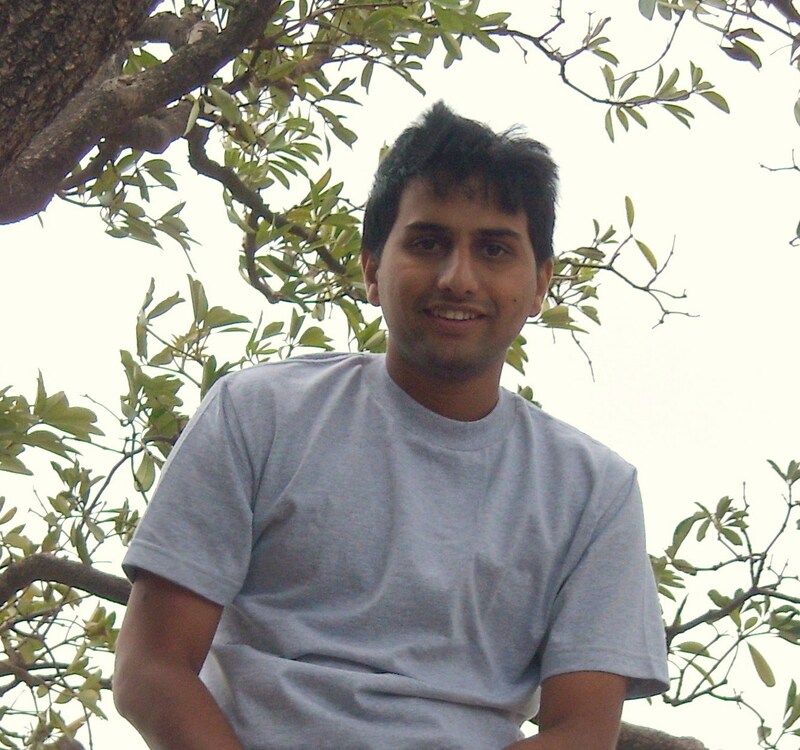 A renowned blogger and a lover of…words, Kunal Dhabalia is a software professional who enjoys traveling and capturing images for life. Here’s a quick interview with him. Where do you draw inspiration from? Any author/book that has had the most impact on your or your writing? My inspiration for writing can be anybody. Most of my stories have been the result of traffic jams. When ever I’m stuck in crawling traffic, my thoughts would veer to what could be the story of the guy driving the bike next to me. Sometimes I think of the start, at times I think of how the story should end, and from there the complete story develops. Share your experience of writing “Love All” and getting featured in Urban Shots. Getting featured in ‘Urban Shots‘ was a scintillating experience. I had been a short story writer for some time, and although I was getting good feedback from the readers I did not have a good reach. That is where Ahmed stepped in and asked me to write a short story for ‘Urban Shots’. Writing “Love All” and “Driving down the Memory Lane” was an interesting experience. I wrote the stories in 3-4 days but the editing took at least double the time. And it is very difficult to edit your own writing. Multiple re-readings and editing sessions later I finally felt that the stories were finished product. 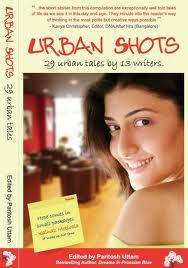 If you had to choose one short story from Urban Shots, which one would it be and why? ‘Stick Figures’ by Vrinda Baliga. It has been told from a kid’s perspective and even then it is a very powerful read which is something quite hard to achieve. Vrinda has captured the emotions flawlessly. Is there something else from your desk that you’d like all your readers to read? Another anthology of short stories based on school & college life by Grey Oak Publications is already out – ‘Down the Road’. I’ve contributed a short-story in it – ‘The Accidental Author’. Apart from this I’ve been working on few more short stories for further publications. And all other random writings happen on my blog. Many bloggers nowadays end up sequencing their blogs and getting them published. Or maybe make a full fledged story out of their experiences to get them published. What is your take on this shifting scenario where bloggers are taking their work offline to reach more people? It is good in a sense – you reach a much wider audience. Although there is a chance, that a few of them would not enjoy the writing at all. The biggest advantage with a blog is that one has a very targeted audience. The blogger has already built a reputation, has a style of writing, the readers expect something of him/her – all of these things go for a toss as soon as the blogger reaches the offline audience. But if the writing is good enough, these things do not matter. What matters is that the writer has made an impression, and expanded his horizons. Your idea of a vacation would include…? Some place where I am completely cut off from the world 🙂 No internet connection, no cell-phone towers – no external factors to distract me from spending a good time with my family. There’s more about this bright author who grew up in London; enjoyed his vacations in India; professionally is a business strategy advisor; a passionate photographer and artist; and a poet by choice. The Lotus Queen, is the story of the beautiful and spirited Queen Padmini. Based on actual historical events and figures, the novel is a tribute to one of India’s greatest heroines. Set in the backdrop of 14th century Rajasthan, the narrative weaves together a tale of love, friendship, and inner courage. Tell us something about your growing up years in London – campus life in London and the vacations in India. Was it during your early days that your tryst with writing began? And how did the shift to Dubai happen? Wow – this question covers my whole life! I guess the short answer is that my life growing up and even now is filled with the people that I love and books that have become as close to me as some of my friends. My early days were filled with memories of being either very British or very Indian activities or surroundings. I guess being in Dubai allows me to have the best of both! As for writing, I didn’t really set out to be a writer. I have always been an avid reader, and thought unless you can write as well as the greats, you should really bother. Ultimately, however, as with many authors I imagine, my writing has just powered its way through the surface – spurred on by the Legend of Queen Padmini, and my need to create something, something on paper. How good it is, and how it is received only time (and my readers and publishers) will tell! We read somewhere that you are a senior business strategy advisor for a global real estate and finance company. How do you balance time off to write, given the fact that strategy advisors barely can spare time for family sometimes? What triggered the passion for photography and painting? How and when did ‘Invisible Horizons’ commence? I have always loved art – since I could hold a pencil or a brush. For me, I have always been fond of sketching Animals and Nature. I still have sketches of trees since I was four and portfolio of sketches of African animals made during my teenage years. As I grew older, somehow art or love for nature seemed to creep into my life – I found myself working next door to the National Gallery in London, taking my wife on our honeymoon to Cuba, or my holidays in Nepal or Africa. Since I have no training as painter or an artist, I turned to photography. Invisible Horizons project is just a collection of my favourite pictures that I wanted to see showcased. It is a private project that perhaps is there just to forcing me to search for beauty in the world around me. How and when did you start penning poetry? When do we get to read Voices Of Silence? How did I start? I am not entirely sure. It just came out of me one day, when I was at an extremely difficult point in my life. Somehow the poetry provided a release for my sorrow. Since then I have begun, extremely fitfully, to write poems whenever I feel the urge to. Sometimes I write three poems in one go – other times years have passed between poems. ‘Voices of Silence’ is an apt title for this collection – the voices of the silence inside of me. I wrote my first poem roughly when I was eighteen. As for when do you get to read it…as soon as a publisher agrees to publish it! But given my newcomer status, and the limited appetite for poetry, I don’t imagine that will be anytime soon. I am looking for an outlet for my work, for now there are some examples up on my website. How did you venture into short story writing? House in Ali Bagh, that featured in ‘Urban Shots’ is set in Delhi and is about an old house that is about to be pulled down. But the night before a construction worker experiences something extraordinary. How did the ideation of this story come about? To answer with a metaphor, I honestly no idea where the where meal came from, but do recognise the ingredients. My wife is from Delhi, so the environment and the house itself comes from my various experiences exploring that sprawling paradoxical city. The seeing the supernatural or super-sensorial is one that I have always desired or wished for, and is a theme of one of my favourite authors L Adams Beck. Largely forgotten, she wrote some unique stories about seeing the ‘real’ world behind the veil of our everyday perception. One particular book, the Ninth Vibration, has probably been the strongest influence on me as a writer. Looking back on it, I think the urge is almost universal – don’t we all want to have an experience with the other world? Isn’t that the object of meditation? Of fantasy itself? However, where and how the story itself came about I am not sure. My dear friend, and fellow author (and now publisher) persuaded me to submit the story to his evaluation team at Grey Oak. That’s how it came to be in Urban Shots. Talking about Demon Diaries – are those random doodling ventures or are they true thoughts about the sham our real world offers? Hehe, a bit of both. Demon diaries is my experiment with myself; stripping away my everyday mundane, emotionally-charged thoughts to reveal an undercurrent of my thinking. It sounds very lofty, but I guess it’s something that’s for me allows me to tap into something deep inside myself. Most of it is therefore a good serving of doodles with some side servings of meaningful insight. Talking about The Lotus Queen –how did the ideation of the story come about? What prompted you to pick a historical figure (Queen Padmini)? What kind of research did this require? How much time did you take to wrap up the book? The idea of the story first came about during a family holiday in Rajasthan. We were driving to Udaipur, when we took a detour and visited the fort Chittor. It is not an understatement to say, the fort blew my mind. Or perhaps more accurately got me dreaming. Where the rest of my family saw ruins, I saw gleaming palaces, and tragic queens. Finally a year later, I decided to put pen to paper and the result is The Lotus Queen. Research for the book was conducted through my visits to Chittor, and through books and the internet. Given obscurity of the era, I had to be informed not just about the events, but about the people: what they wore, what was used in warfare, what was the layout of the fort at the time, etc…,. This was crucial to forming my own version of the story in my head. To answer the last question, I wrote very, very quickly; finishing the heart of the book in less than two months. However, for different reasons, the book then stayed on my shelf for almost seven years. Finally, last year I revisited, and rewrote, the book in about four months. Apart from indulging in the creative world, what do you like doing the most? Spending time with my daughter and wife – my ‘real’ world! I usually love lounging at the beach near my house, sitting at a shisha bar with my friends, or watching a movie at home. What next do we see from your desk? A novel? A short story? A different genre? I am right now trying to finish the planning around the second in the ‘Chittor’ series – which will cover the events of the second siege during the 16th Century. Given my pace, I hope to have a first cut done over the next year. I would love to keep working on some short stories in the meantime – but sometimes I feel it’s harder to write a short story – it has to be extremely well written and to the point, and that something which requires a lot of inspiration, and of course, practice. In the future I would love to experience with the mystery and horror genres – I am a big fan of books like Dracula and stories with a twist from authors such as Poe, Dahl, Du Maurier and Saki. A collection of spooky tales perhaps? – Rikin the author that not many people know? I am worried about my sacrificing my time away from my family and work to write. Isn’t it selfish, isolationist pursuit after all? At the same time, it’s something that I love and makes me happy…go figure! – Rikin the person that not many people know?